Stella McCartney knows the importance of giving back. The British designer, who received an honorary fellowship from Central Saint Martins on Wednesday, has announced a new program for aspiring designers. McCartney unveiled the Stella McCartney Scholarship during her acceptance speech, which described her own time at the college as “life-changing.” The program will not only fund local, EU, and international master’s of fashion students based on academic performance and financial need, it will also include a one-year placement at her fashion house. Just one catch: In line with McCartney’s animal activism, students who win the scholarship must eschew fur, leather, or products that harm animals. While it's great that Stella McCartney is an animal rights' advocate, her hypocrisy in allowing L'Oreal to manufacture her perfume is deplorable. Stella McCartney knows the importance of giving back. The British designer, who received an honorary fellowship from Central Saint Martins on Wednesday, has announced a new program for aspiring designers. 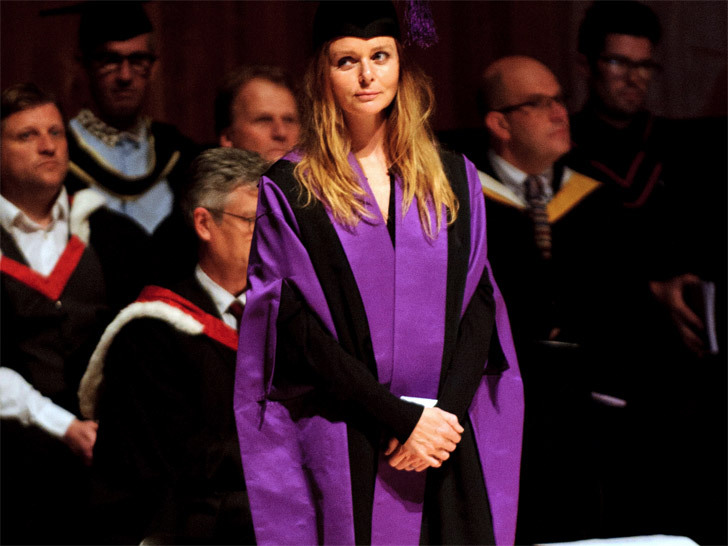 McCartney unveiled the Stella McCartney Scholarship during her acceptance speech, which described her own time at the college as "life-changing." The program will not only fund local, EU, and international master's of fashion students based on academic performance and financial need, it will also include a one-year placement at her fashion house. Just one catch: In line with McCartney's animal activism, students who win the scholarship must eschew fur, leather, or products that harm animals.